SA car of the Year: Which finalist is leading the race? SA Car of the Year: Which car do you think deserves the title? Cape Town - The 2017 SA Car of the Year competition is garnering thousands of responses in our homepage poll. The 10 finalists, selected by the South African Guild of Motoring Journalist (SAGMJ), were whittled down from a list of 35 eligible vehicle ranges. 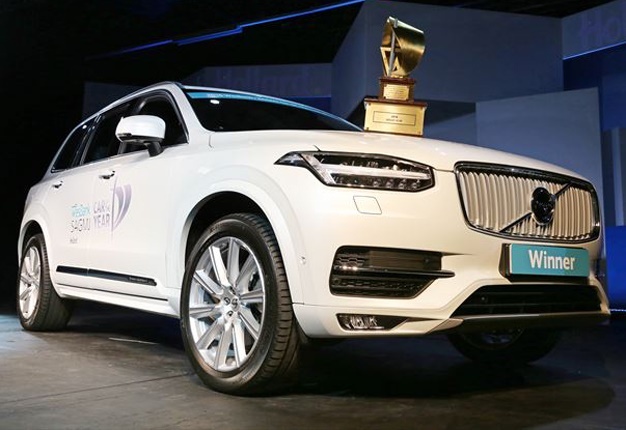 The SA's next Car of the Year will be crowned in March 2017. Wheels24's Sergio Davids and Janine Van der Post will be judges at the 2017 competition. But which car will grab the 2017 Readers' car of the Year title? 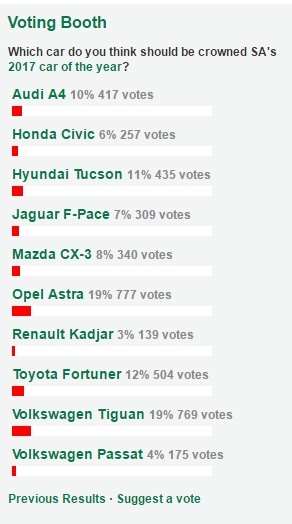 The results of our readers poll in the middle of January has the Opel Astra (777 votes / 19%) marginally ahead of the Volkswagen Tiguan with 769 votes (19%). Third spot is occupied by Toyota's ubiquitous Fortuner with 504 votes (12%). Which car do you think should be crowned SA's 2017 car of the year? Vote here.